So the other night I got to do something I don’t get an opportunity to do very often anymore…..enjoy 2 hours of uninterrupted time watching a movie. The film, Hell or High Water, was a damn good one at that. Starring young talents Ben Foster and Chris Pine, it was the third star of the film who’s been impressing me for over 30 years: Jeff Bridges. Though once a child actor, and the son and younger brother of famous actors, Jeff’s adult acting career broke on to the scene around the time other soon-to-be leading men became famous Hollywood blockbuster stars. His contemporaries include the likes of Tom Hanks, Tom Cruise, Mel Gibson, Michael Keaton, Kurt Russell, and the late Patrick Swayze, to name a few, who were either huge stars in the ’80s, ’90s, or even still today. Yet for his many years of success, Bridges never quite became the box office superstar these other guys are or were. Perhaps by his own choice or the opportunities the industry presented him with, Jeff has mostly starred in smaller, character-driven films. In addition to his acting, Bridges is also a musician. Unlike some actors who want to pretend to play guitar and sing, he’s actually pretty damn good too. Amateur artist….photographer…..68 years old and no slowing down. The guy kind of does it all! So if I may, (in addition to the aforementioned Hell or High Water) allow me to share with you a few other must-see Jeff Bridges films. You’ve probably seen some of them. Maybe none of them. I recommend all of them. 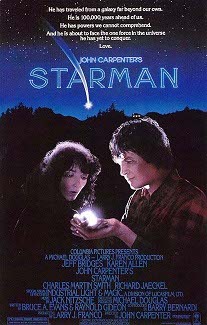 This was the first Jeff Bridges film I ever saw. A Science Fiction film yes, but it’s far more of a human piece than an alien movie. 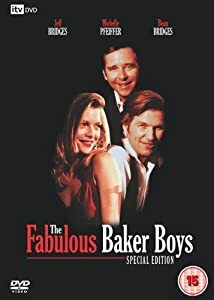 Truth be told, I bet I haven’t watched it in 25 years, but it’s a great little film. Here’s a movie I never thought I’d enjoy. Two piano-playing brothers and a lounge singer? Well…….over the years I’ve probably watched this film 20 times. I can’t explain it. Maybe it’s the chemistry between Jeff and his real life brother Beau. Maybe it’s the chemistry between Jeff and Michelle Pheiffer. The acting is excellent. The setting is great. There’s just always been something about this film that clicks with me. Bridges is at his best when he’s able to tap into the intimate, human side of a character. In no other one of his films is that more on display, with all of the character’s personal human flaws, than in Bridges’ portrayal of Otis “Bad” Blake in Crazy Heart. This movie really caught me by surprise. Sure, the script is great. The music is great. The supporting cast is top-notch. But it was Bridges’ performance, so many years after making a name for himself in the industry, that took me aback. Granted, he’s still acting and churning out great performances, but I recall coming away from this film feeling like I witnessed a great actor who had been saving up perhaps his greatest performance for the near-end of his career. I cannot recommend this film highly enough. Ok, I can’t call this one a “Jeff Bridges” film alone. John Goodman. Steve Buscemi. Julianne Moore. John Tuturro. Sam Elliott. This Coen Brothers’ directed comedy is simply one of the funniest damn movies I’ve ever seen. But it’s Bridges’ portrayal of the iconic character, Jeffrey “The Dude” Lebowski that cements this one as an all-time classic. Bridges himself stated on several occasions that “The Dude” is his most favorite character he’s ever played on film. If you’ve ever seen The Big Lebowski you’ll understand why. Actor. Singer. Guitarist. Song writer. Graphic artist. Photographer. 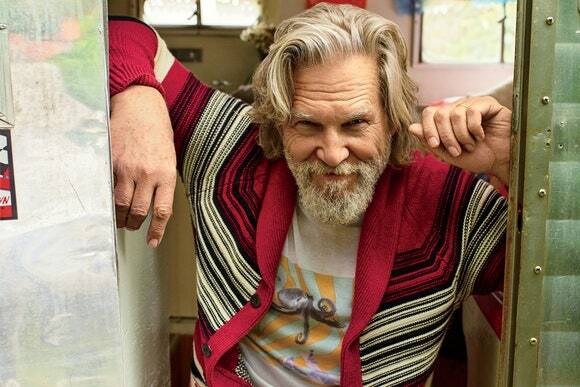 Jeff Bridges…………….Renaissance Man.